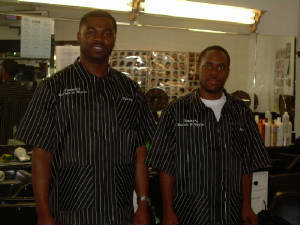 CANNOT BE EXCHANGED ONCE PERSONALIZED!! 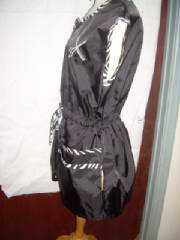 Nylon black below hip vest w/zipper closure, drawstring waist, & double front outer pockets trimmed w/black and white zebra print. 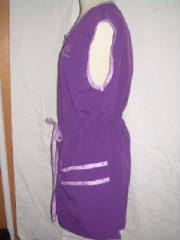 Matching cape can be ordered in the cape section. 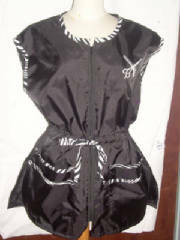 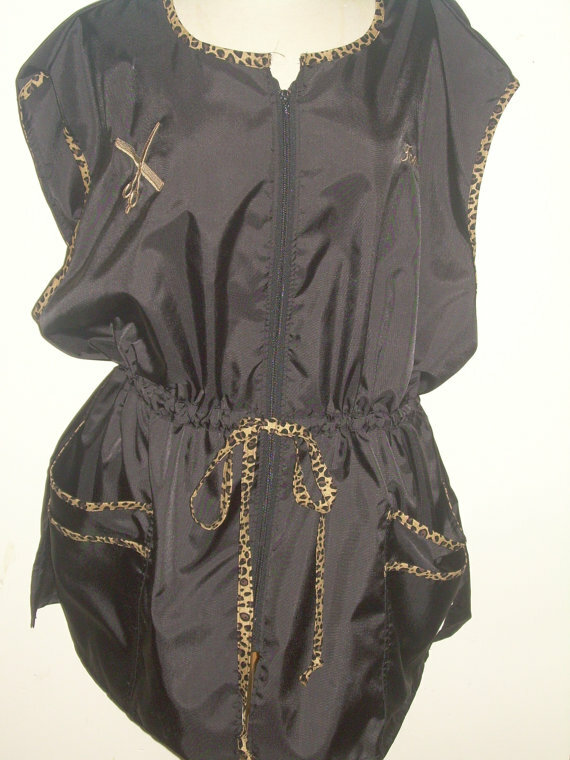 Nylon black below hip vest w/zipper closure, drawstring waist, & double front outer pockets trimmed w/brown cheetah print. 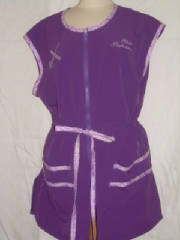 Nylon purple below hip vest w/zipper closure, drawstring waist, & double front outer pockets trimmed w/lavender print fabric. 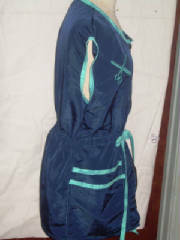 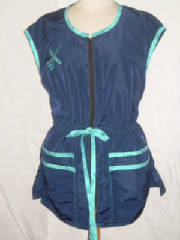 Nylon navy blue below hip vest w/zipper closure, drawstring waist, & double front outer pockets trimmed w/a lite teal color. 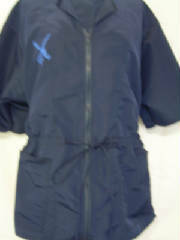 Nylon navy blue below hip jacket w/zipper closure, drawstring waist, & front outer pockets. 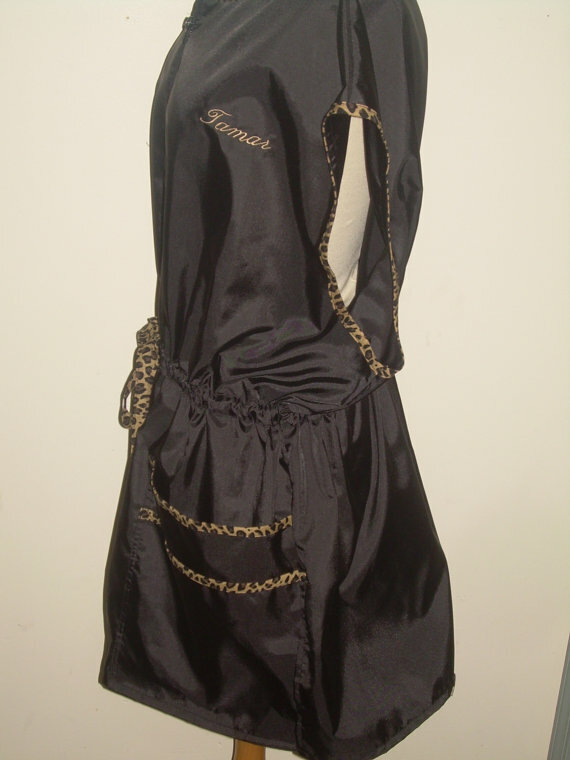 Please feel free to email w/questions! 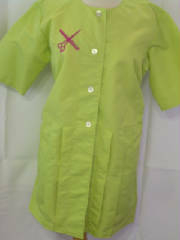 Nylon soft lime green below hip jacket w/front & back pleats, button closure, & front inset pockets. 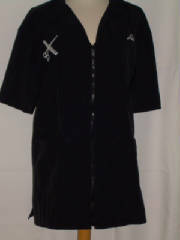 Black nylon barber jacket w/collar, 3 pockets & zipper closure. 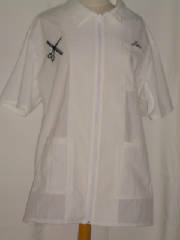 White nylon jacket w/collar, 3 pockets & zipper closure.